Student Global Summits provide a global platform for improving multi and intercultural communication and understanding between students. 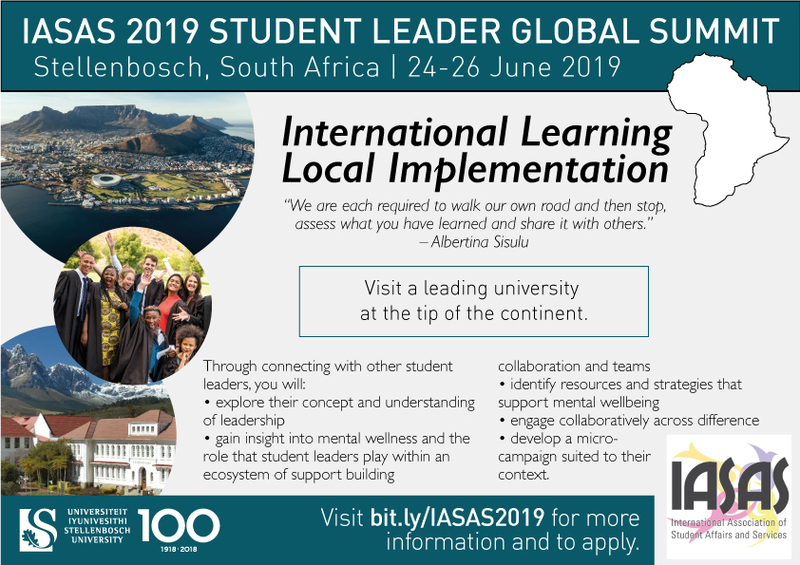 The goal of the summits is to bring student leaders from different parts of the world together to discuss student governance, leadership, social justice or other topics of shared interest. The first summit which was around the theme leadership was held in Montreal Canada March 4-6, 2016 in partnership with the College Student Educators International (ACPA) and Lead365. The experience continued in 2017 in Columbus, Ohio (U.S.) and in 2018 Houston, Texas (U.S.). 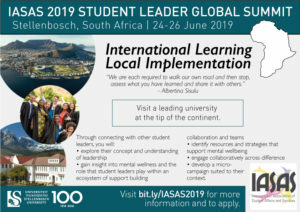 The 2019 summit will be in Stellenbosch, South Africa (30 minutes from Cape Town). Our host is the University of Stellenbosch.